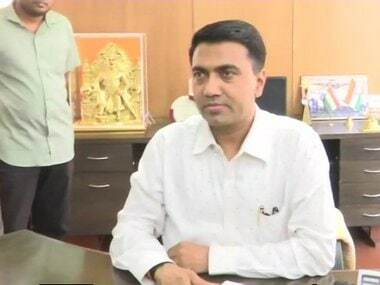 Panaji: Exuding confidence of proving majority in the house, Goa chief minister Pramod Sawant said that he has the support of 21 legislators and will pass the floor test in the Assembly on Wednesday. "We have 21 MLAs and hence we are definitely confident of not having any problem in floor test, we will surely prove our majority," Sawant told ANI. Goa Legislative Assembly has a total strength of 40 members, out of which four seats are currently vacant. Refusing to comment on various allegations being made by Congress, the chief minister said, "I don't want to comment on what Congress has said. But all our coalition partners are wholeheartedly with us. We have held meetings with everybody and have formulated a strategy for the next three years with the motto of Sabka Sath Sabka Vikas". Sawant also informed that he will be going to Delhi to meet the central leadership on Thursday. Speaking about the two Lok Sabha seats, North Goa and South Goa, in the state, he said: "We are definitely winning both seats in Goa in the upcoming Lok Sabha elections. Allies are with us and are going to support us." 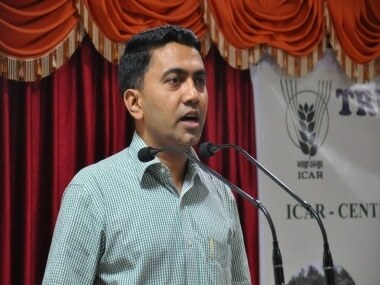 Earlier in the day, after assuming the Chief Minister’s office on Tuesday, Sawant had said that he is confident of winning the floor test scheduled to take place on Wednesday in the Goa assembly. “We are going for the floor test tomorrow. There is no problem with that. 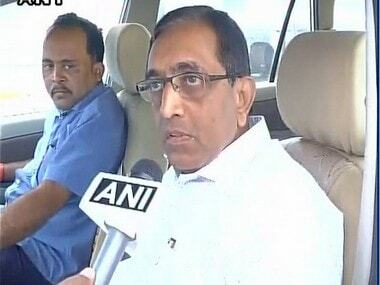 There will be two deputy CMs in this government Vijay Sardesai and Sudin Dhavalikar. And I request all the people not to congratulate me or welcome me with flowers during the seven-day mourning period,” Sawant said. On Tuesday, Sawant took charge of the Chief Minister’s office and kept a photo of former CM Manohar Parrikar beside him. “My first priority is to take control over the administration. My second priority will be to complete all the current projects which were started by late Manohar Parrikar,” Sawant said elaborating on the priorities of his government. Sawant was administered the oath of office by Goa Governor Mridula Sinha on late Monday night around 2 am. Along with Sawant, 11 other members of Goa Assembly were also sworn in as ministers of the new cabinet.